Longue Vue's mission is to preserve and use the historical and artistic legacy of Longue Vue and its creators to educate and inspire people to pursue beauty and civic responsibility in their lives. Longue Vue fulfills our mission through an exciting palate of programming focused on art, design, horticulture, preservation, and civic engagement. Whether child or adult, visitor or local, on-site or in the community, we hope you will get engaged with all Longue Vue has to offer! In a city rich with beautiful gardens, Longue Vue is an unrivaled jewel. Begun in 1934 by Ellen Biddle Shipman, known as "the dean of American women landscape architects," Longue Vue's gardens have an important place in the history of horticulture design in the United States. At the time of Longue Vue's creation, a bold new garden movement was in effect, which set the stage for the creation of some of the most breathtaking garden estates in the country. During this time period, called the Country Place Era, traveling Americans looked to Europe for inspiration for their own rural retreats that would seamlessly integrate indoor and outdoor spaces. 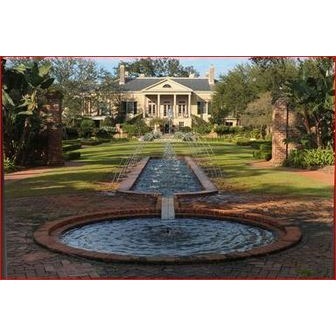 Ellen Biddle Shipman was a champion designer of gardens of the Country Place style. She possessed a keen understanding of how to successfully create the experience of a "garden room" with an ease and expressive romanticism that made her stand out amongst her more formal contemporaries. Shipman had a philosophy regarding gardening that was very much in keeping with the democratic leanings of the Sterns, who believed in using their resources to enable the self-empowerment of all individuals. Shipman said, "Gardening opens a wider door than any of the all mankind can walk through.... It has no distinctions, all are welcome." Architects William and Geoffrey Platt completed the current house at Longue Vue in 1942, which is a variant in the Classical Revival style. The existing house replaced an original house that Shipman felt no longer related to the gardens she had designed. By the 1960s, Edith Stern had conceived of the idea of opening Longue Vue to the public; many of the garden developments during this time reflect both this foresight and Edith Stern's generous desire to share her legacy with generations to come. 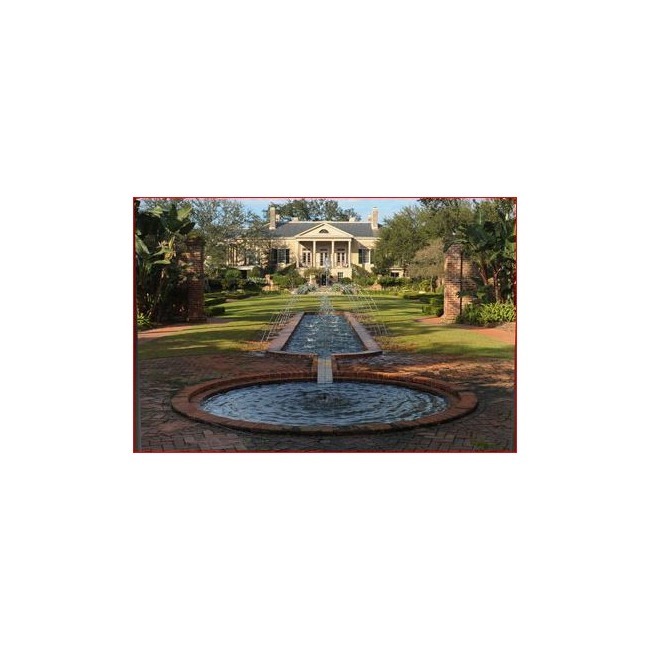 Longue Vue opened its gardens to the public in 1968 and was in continuous operation until Hurricane Katrina and the subsequent levee failures flooded the property for two weeks. The flood waters killed 60% of our total plant collection, including 200 trees and shrubs, and 90% of our perennials. By December 2005, dedicated garden staff and volunteers had managed to restore the Discovery Garden, and by July 2006, all 14 of the gardens were re-opened to the public. Longue Vue's recovery has been greatly aided by The Garden Conservancy, which in 2006 designated Longue Vue as a Preservation Project. In fulfilling its mission to preserve American gardens for the public's education and enjoyment, the Garden Conservancy provides the leadership, guidance, and tools to assist garden owners, public agencies, and private organizations in assessing the feasibility of preserving a garden, opening its gates to the public, and sustaining the garden as a valued cultural resource in the community, region, and nation. Despite the flooding which devastated Longue Vue, we have been able to maintain our gardens' historic integrity, in part by referring to the 44 Ellen Biddle Shipman drawings in our archives, which show her planting recommendations. These drawings helped to guide our ten-year Landscape Renewal Plan, which was completed in 2007 for Longue Vue by the Garden Conservancy and Heritage Landscapes, a Vermont-based landscape architecture firm. New plantings are carefully chosen according to these plans, with consideration of newer, more resilient and horticulturally interesting plant varieties. Replanting continues each year, and we expect to finish implementing the renewal plan ahead of schedule. Longue Vue is also a member of the American Camellia Society's American Camellia Trail. More information can be found by visiting the American Camellia Society's website.